• Self Healing Characteristics! 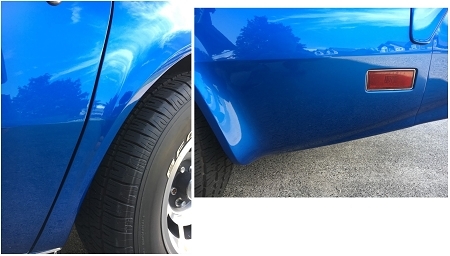 Small Marks & Scratches,Vanish! • Pre-cut. Perfect Fit. Specifically Designed to Easily Apply in Minutes! Unfortunately your beautiful Corvettes paint in front of your rear wheels (dog leg) and behind your rear wheel (even with the flare) is very vulnerable. It will absolutely get hit by rocks and chip while out for a simple drive. 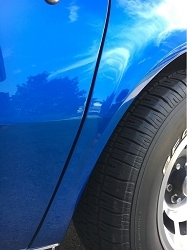 Cleartastic is invisible paint protection that protects these areas without ruining the lines of your classic. A great alternative for unsightly mudflaps. Cleartastic® has a mild adhesive to make it a set it and forget it film. One time application provides years & years of protection. Smooth as glass appearance make it invisible once applied. Wash & wax over the film. Treat it like your paint. 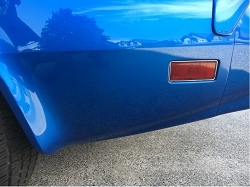 A great alternative to mud flaps. Set includes left & right side! This kit protects the vulnerable paint in front of the rear wheels and behind the rear wheels 74-82, coupe or convertible .